FSP, the global leading manufacturer in superior power supply units, introduces this season its Raider Series. In order to keep pace with the recent developments in the field and to meet market demand, it comes with a single +12V rail, SATA array cable design and is certified with 80 PLUS bronze. Furthermore, efforts were also made for more quiet operation, which keeps the noise level <19 dBA at 50% load. With a full set of connectors, such as the multiple PCI-E 6+2 PIN connectors for all mainstream graphics cards, RAIDER is certainly the best choice for gamers and hardware enthusiasts. 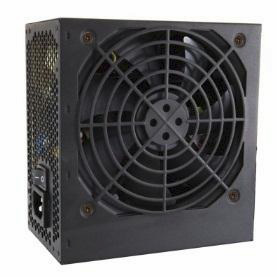 In a typical tower case, the installation of 3.5” devices can be problematic due to the PSU cable arrangement. But the RAIDER series has 4 SATA connectors with only 50mm intervals between them, to make the installation of these devices easier, far superior to the traditional 155mm long SATA cable. This unique SATA connector array reduces the amount of cables in the HDD area of the case, improving the hot air extraction and optimizing the airflow in case. The RAIDER series cares about the DIY user’s individual requirements and the SATA array cable design is the best example for this. The RAIDER series comes with the +12V single rail design. It is designed for power-intensive graphics cards and supplies strong power even in overloading conditions. With an energy efficiency > 82%, RAIDER Series is 80PLUS bronze certified. It provides the ultimate performance and highest protection (OCP, OVP, OPP, SCP, UVP) to meet the demand of today’s cutting-edge PC components. The quiet 120mm fan has a noise level <19 dBA at 50% load. With FSP’s MIA IC Patent Technology, the RAIDER Series will ensure you a brilliant performance. With POST SR (Post Synchronous Rectifier), optimized by the 3.3V/5V/12V start-up setting plus ZCS PFC benefits, it reduces the switching loss and improves the efficiency significantly. 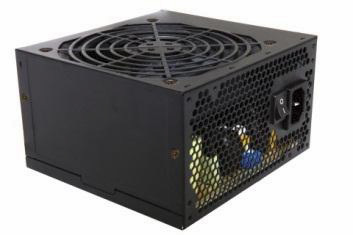 The RAIDER series comes in a range of 550W, 650W to 750W for your choice and provides the best C/P value when upgrading your systems.